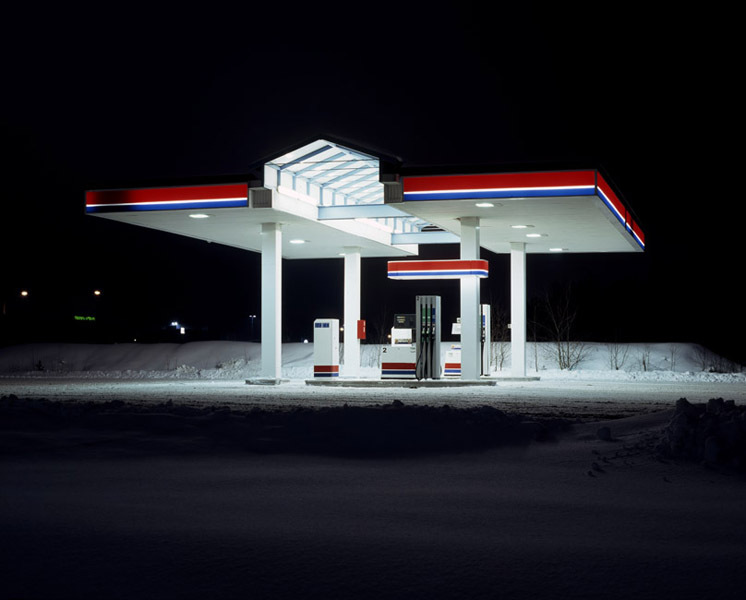 Cold Stations is a series of gas stations captured at their most deserted. His prints are Digital C-type, shot on Fuji T64. Barnes applies minimal post production to his photographs, when he applies any at all. His influences are mainly street photography, the New Topographics and Graffiti. the photos are so clear and pretty. it makes you want to stare at t all day and really grabs your attention. Amazing work. Excellent work, not just technically, but with a deep sense of emotional sensitivity and insight. 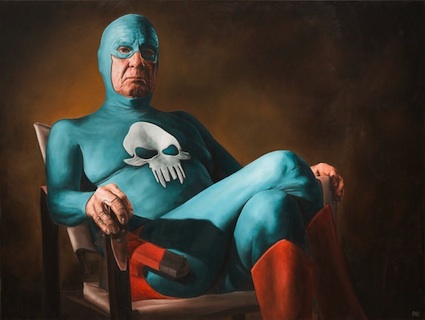 Though the total number of works (of various series) are relatively few on the artist's website, the strength, quality and impact of the artist's work will no doubt only grow with time and experience. 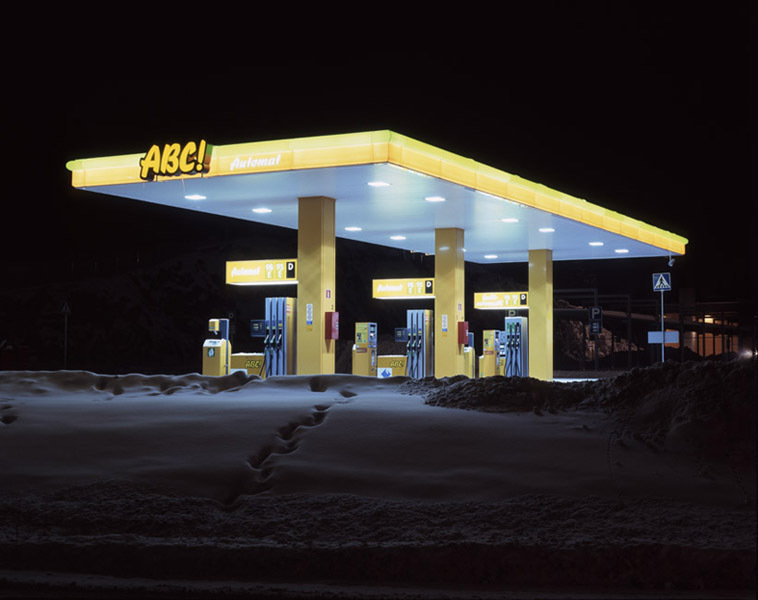 The two stations depicted above have the look and stark beauty of an Ed Ruscha painting, but with an emotional content that his graphic work of stations did not have. The two above drawn me into multiple memories of station stops at midnight or 2AM when it is -20 degrees in January on the backroads. Very nice. Thank you, gas stations witness so much, they deserve it. What an amazing look at the world today... serene and yet cold, but ya know that is how life is and I remember being a kid and my town was like this every sunday in the winter. Very calm and captivating. looks to me as if everyone has had to walk because the gas has become unaffordable!!! Excellent photographs. The elimination of the surrounding background with the use of light captured me for a bit. Don't you see it? It's leaking. Just looking at these two in Matts series of "Cold Stations"..., I'd love to see more. I think it's a most interesting idea, and with the addition of his crackling fresh looking photography, it makes it fairly captivating in thought when veiwing. This is an instance of wishing I could be a fly on a wall at one of his shows, to hear all the diverse comments of thought.